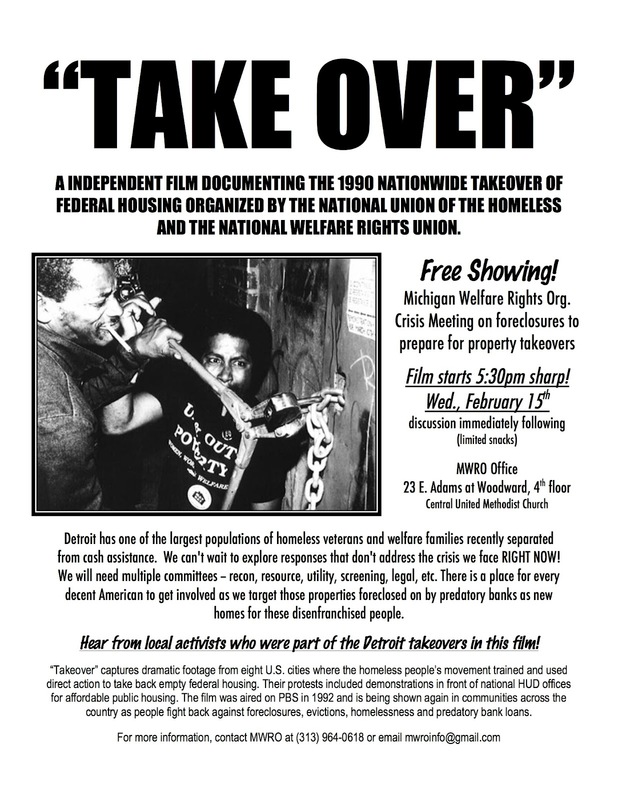 You are invited to a FREE showing of the independent film “Take Over” — documenting the 1990 nationwide takeover of federal housing organized by the National Union of the Homeless and the National Welfare Rights Union. It will be shown Wednesday, February 15, 2012 at 5:30pm sharp. (Discussion to follow.) MWRO office, 23. E. Adams at Woodward, 4th floor (at Central United Methodist Church). For more info, contact MWRO at 313-964-0618. Be the first to comment on "“Take Over” Film showing in Detroit, Feb 15, 5:30pm"